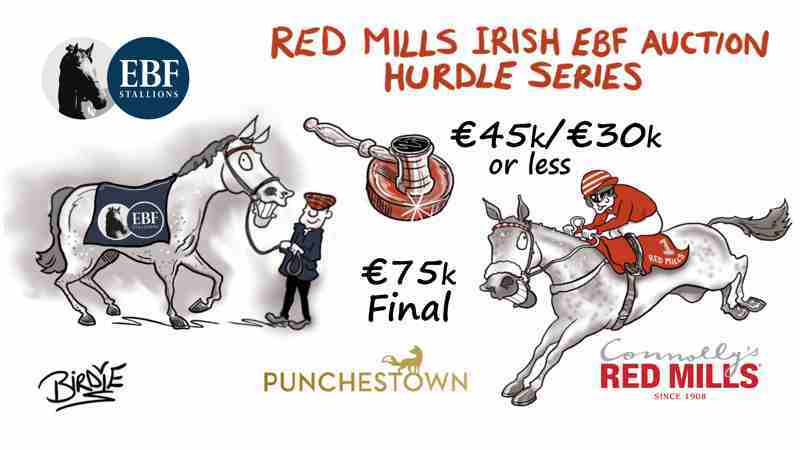 The conditions for the qualifying races specify that all horses must be by an EBF registered stallion and bought as an unraced three or four-year-old at a recognised National Hunt Store sale for €45,000 or less, with weight allowances depending on purchase price. In addition, the €5,000 Weatherbys/ITBA NH Fillies Bonus Scheme is in place for all races in the series. 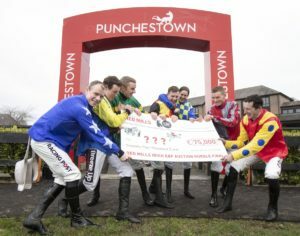 Final worth €75,000, entry into final is limited to horses which have run in one of the previous races in the series and have not won a listed race or a Grade 1, 2 or 3 race. Horse must be by an EBF Registered stallion and bought as an unraced 3/4yo at a recognised NH store sale for €45,000/€30,000 or less.